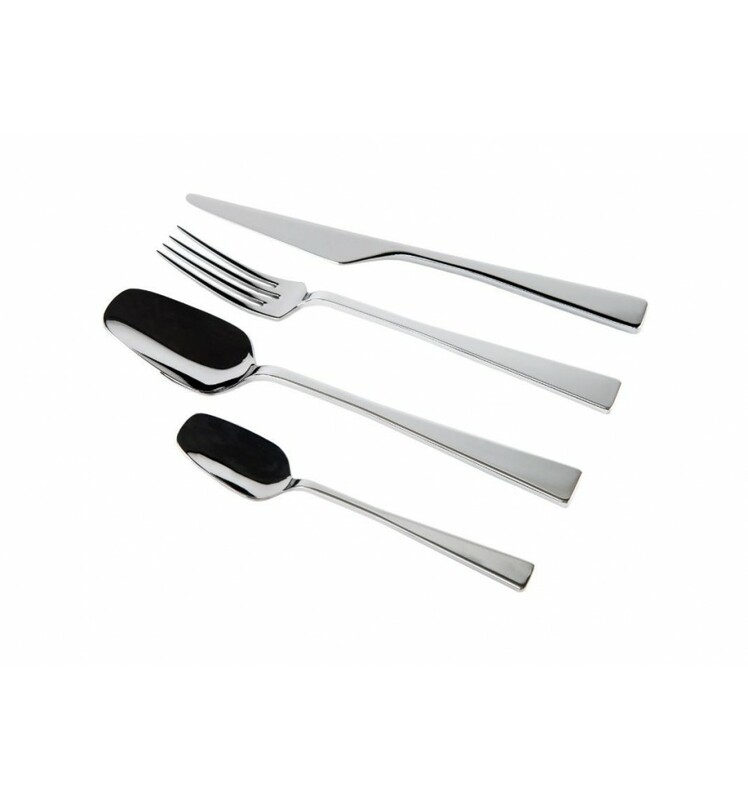 Manufactured in polished stainless steel, "Zest" cutlery is characterized by a very recognizable design, with an emphasis on strong shapes to add an aesthetically "tasty" touch to the table, as reflected in the product's name. Set includes 6 places settings (fork, spoon, knife and coffee spoon) for a total of 24 pieces. Wooden box is not included.